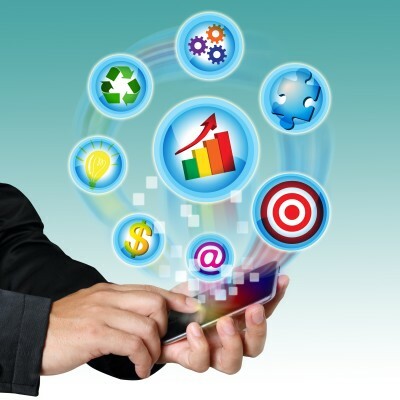 The boost of real-time bidding on mobile display advertising | AdsWiki - Ad Network Listing, Reviews, Payment Proof & Advertising News. A relatively new technology for advertisers, real-time bidding, or RTB, enables online advertisers to purchase their ads on the fly rather than paying for reserving advertising on the web. As each impression is served up, advertisers get to bid on that impression and the one with the highest bid gets that ad. It is a programmatic type of trading, driven by algorithms and automation that enables ad impressions to be purchased quickly according to pre-set parameters. Real-time bidding also has already made great inroads in display advertising on the desktop with those who advocate for it saying that it has enabled the digital market to be more efficient and transparent. However, many others are claiming that it is in mobile advertising where real-time bidding is most likely to make the greatest difference. There are several ways in which real-time bidding can have its greatest effects on mobile advertising. One of them is to help solve the CPM problem. As many more consumers using mobile devices as opposed to desktop computers, there has been a glut of ad inventory for desktop display advertising which has dragged the CPM on this platform. By automating the buying and selling of ads, real-time bidding can help to more efficiently and effectively match buyers and sellers and deliver the scale that is needed on mobile platforms that will help to boost CPMs. As real-time bidding involves selling digital advertising opportunities in real time, it could be very powerful on mobile devices as consumers now take these devices wherever they go—to the mall, the grocery store, and probably even the beach! This helps advertisers to get more information about their consumers based on their location so that they can respond to their ever-changing needs on a daily or even hourly basis. Those who advocate for real-time bidding say that the technology is growing and developing as fast as that for mobile devices so that consumer data gathered from mobile devices will still be able to be tracked in the way it has been done on desktop computers yet still maintain privacy and confidentiality. However, the data gathered will now cover location and contextual information in addition to requests for real-time ads. In the long run, this will mean that real-time bidding will also enable publishers to achieve higher CPMs than they do with ad networks that are more traditional. Real-time bidding will be more widely adopted on mobile platforms by those on both sides of the equation. On the sell side, there will be much more and higher quality inventory and larger publishers who will be requesting ads. On the buy side, advertisers and agencies will be increasing their demand for real-time bidding. It can only be a win-win situation for everyone.